Minimally invasive surgery or back operations are the ones that require small incisions instead of one that is as long as 5 to 6 inches. These types of procedures are endoscopic in nature and they require customized video cameras as well as specially made operating instruments that can conveniently pass through small incisions that are less than 2 cm in length. These incisions can be made anywhere from, abdomen, back or the chest so that one can access the spine easily. Usually doctors prefer conservative treatment options for spinal problems and disorders and surgery is only considered when these non-surgical procedures fail to provide any respite to the patient. Conditions like severe herniated disc, spinal stenosis and tumors, severe spinal deformities, compression fractures that may be caused by a trauma or injury and degenerative disc disease may require surgery using minimally invasive techniques. 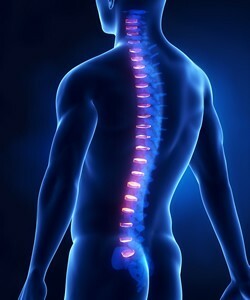 For spinal conditions like scoliosis, kyphosis, spinal infections, spinal column tumors as well as the conditions mentioned above, minimal invasive procedures are considered the best option as they do not require long recovery tome, less post operative pain as well as have better results than the traditional spinal surgery. These minimally invasive back surgery procedures work better than traditional procedures as they reduce postoperative pain, leave tiny scars, shorter recovery time, less bleeding as well as less risk of infection.